Actually it's just since recent times that I dived a bit deeper into the South American progressive rock scene and in fact out of the few Brazilian bands I listened to so far I found only two that could really fascinate me: BACAMARTE and INDEX. So now I stumbled over O TERCO and honestly I've got to say I don't find their music very much interesting, at least on this album here, which is supposed to be one of their better ones. Listening to the first two songs one could get the impression to have an ordinary latin-american pop album. Then there are a few mellow acoustic ballads quite reminiscent of Bossa Nova like tracks 4 and 6. Track #5 has an extremely exaggerated bombastic and rather "cheesy" orchestral sound, almost like the soundtrack for an old low quality dramatic movie. Track #7 features some nice acoustic guitar and flute, but overall it's more or less just a nice, but quite ordinary latin-american "Easy-Listening"-song. Track #8 is a more rocking one, a little bit reminiscent of KANSAS or YES in their worst pop rock era. If there would be more of the kind of track #9, I could give it a higher rating. But in fact apart of track #3 which is better than the rest as well there's not much offered here. So finally I found only 2 really good songs out of 11, which I find quite a low ratio. This album might have been a very good one in Brazilian pop music and be of interest for someone who is favouring Brazilian music in general, but IMHO one could not call it a relevant one in symphonic progressive rocks, but good for 2.5 stars! A worthy 1976 follow-up to O TERÇO's 1975 hit "Creaturas Da Noite". Sunny, melodic Progressive Rock from Brazil. Again we have light and breezy music to enjoy. As I mentioned in my review of "Creaturas Da Noite", if you want moody, profound, complex Progressive Rock then look elsewhere. But if you want something that makes you hum along and feel good then, as with the previous album, this is worth adding to your collection. To me it's a 4-star album (Excellent addition to any progressive music collection) and I can recommend it if you're willing to try something different. 'Flor De La Noche' (flower of the night - in Spanish) starts calmly with Spanish guitar and singing in Spanish. You might think you're in for a Spanish ballad, but then it ups tempo with some funky organ and turns into a good, barroomy number with bass, tapping drums and cymbals. After the Spanish-style start the lyrics change to Portuguese, reverting to Spanish only for the refrain. The organ in this track is the business. 'Luz De Vela' (candlelight) is a 1960s-style rocker with sax and trumpet. It's OK, but not really my cup of tea. 'Guitarras' (guitars), on the other hand, is my cup of tea. Piano and a slow, twangy guitar with organ darting around in the background make for a laid-back first half to this instumental. Then a samba beat starts, with some brief agogô, and in comes funky cuíca, the latter later replaced by manic laughing that mimics the cuíca (very well). The whole thing rocks up into a SANTANA-esque number. Very Progressive, very good. 'Foi Quando Eu Vi Aquela Lua Passar' (it was when I saw that moon pass) has high-pitched vocals and fast strumming acoustic guitar, with drums and a pumping bass joining in later. A melodic foot-tapper, and another light and breezy O TERÇO number to enjoy. 'Sentinela Do Abismo' (sentry of the abysm) starts with piano and recorder and sounds almost medieval, but quickly turns into an orchestrated, pop-ish number with high-pitched vocals, complete with string and trumpet flourishes that remind me of THE BEATLES. 'Flor De La Noche II' is basically a very laid-back, groovy arrangement of the first track, this time with a slow, bluesy feel and no funky organ. I like this version too. 'Casa Encantada' (enchanted house) starts off with pastoral flute and acoustic guitar, then a lone voice singing calmly. Strumming on the acoustic guitar starts up, the song ups tempo and it turns into a light and breezy O TERÇO number. Sounds rather like the sort of song you'd hear in a musical. Rather a 1960s pop sound, but none the worse for it. A pleasant song. 'Cabala' (kabbalah) has a very promising start with tapping organ. The high-pitched vocals that follow may initially sound off-putting but the song rocks up nicely and is another melodic O TERÇO number that I love. The guitar and thumping bass later in the track are very enjoyable. One hundred per cent Progressive Rock, even if it doesn't come from the Old World. Just great. 'Solaris' is a Progressive Rock instumental which initially is slightly reminiscent of SANTANA. I find it interesting the way the organ plays the Spanish guitar part. 'O Vôo Da Fênix' (the flight of the phoenix) also has high-pitched vocals but, again, I think they work. Pop meets salsa meets samba meets rock? A catchy tune with lots of little percussion sounds in the background to enjoy. Fans of SANTANA may like this one. Pássaro (bird): Acoustic guitar introduces this lovely number which reminds me strongly of Brazilian Northeastern rural music, and not just because of the accordion. Nice way to end the album. By the way, the 1975 LP "Criaturas Da Noite" was re-released on LP under the title "O Terço" instead of "Criaturas Da Noite" and with a different cover: a photo of the band on stage, with the front showing Sérgio Magrão and Luiz Moreno's drum kit. 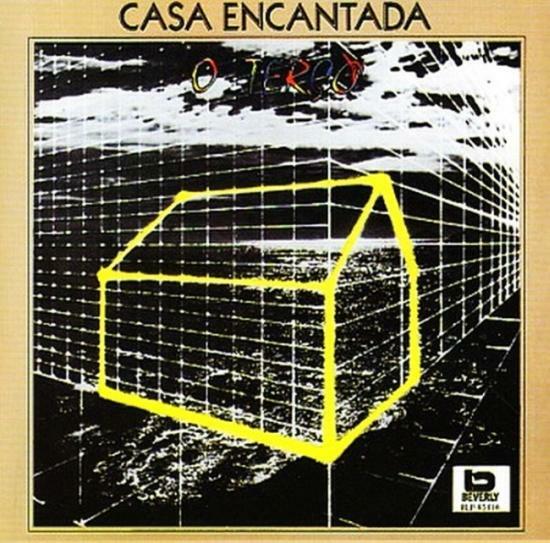 The cover of the copy-controlled 2003 "2em1" (two LPs on one CD) CD from EMI Brazil shows the cover of the re-released LP plus the cover of "Casa Encantada". 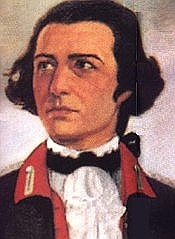 N.B. The 2003 "2em1" CD was a different release to the 1999 "DOIS EM UM" (two in one) CD containing both "Criaturas Da Noite" and "Casa Encantada". Unlike the 2003 release, the 1999 release did not have copy-control software on it. Confused? I don't blame you! Anyway, whether you buy the 1999 'two LPs on one CD' or the 2003 'two LPs on one CD', you get the same tracks, although the latter installs software on the hard disc if you play it on a PC or Mac. It doesn't stop you ripping the tracks to MP3 for your portable player, though. This album, "Casa Encantada", is really two steps backwards when compared with band's magnum opus, "Criaturas da Noite", released just one year before - sometimes it seems that we're facing different bands. Others will tell me that hearing both albums in a row may be unfair with this one, considering the masterliness of the other; I accept the comment but I warn that either works were compiled together in a 1999 CD release and many people will do like me: to listen to either albums at the same time. The explanation for such dissimilarity between those 2 albums could be that "Criaturas da Noite" contains 'old' material composed in the early 70s whilst "Casa Encantada" is filled with 'new' material, where they tried to venture through different ways. The probable controversy that arose inside the band caused the departure of some members to create the crossover/prog-related 14-BIS band, leaving O TERÇO to deal with the symphonic issue - a thing they know very well. Anyway, even not being unforgettable, "Casa Encantada" is averagely nice to be heard, with amusing passages with ethnic, folk, hard-rock and poppish tunes. General production and musicianship are high and O TERÇO keeps the harmonic vocals that are a kind of band's registered mark. 'O vôo da Fênix', a track provided with interesting Brazilian ethnic/folk tunes. Considering what was said above this album should be rated as collectors/fan only but due to the mentioned tracks and O TERÇO history and importance in the Brazilian progressive scenario I'll raise the final rating with an additional star and will label "Casa Encantada" as good, but non- essential. Definitly a step backward, prog wise. The group seemed to be more interested in working their brazilian ´country´style tha to go on with their synphonic prog tendencies showed on Criaturas da Noite. At the time I thought it was great, since the merge of rock prog and brazilian folk roots was not something many artists were doing by then. Looking back, however, Criaturas da Noite was better, even in that field. I still like this album very much, and the title track is a classic. All songs are good and varied: rock´n roll (Luz de Vela), instrumental prog (Solaris, Guitarras), folk (Pássaro, Flor De La Noche), prog rock (Cabala, Vôo Da Fênix), and so on. Production here could be better, though. Great muscanship of all involved and fine harmony vocals, which became their trademark. But after Criaturas da Noite, I was expecting more. Good, but not much more than that. Here the upgrade path to future 14 BIS is becoming apparent. The style is poppier and more countrified than on "Criaturas". It's still quirkier than straightforward pop could ever be, and more acoustically oriented, but I feel like this has been done much better before, by say "Recordando O Das Macas" . With most tracks in the 2-4 minute range, and a languid tempo predominating, each tune affords precious few diversions, but the title cut at least segues from mellow to upbeat in a convincing manner. The instrumental "Solaris" gets the nod for me as persistent falsettos on the generally weak vocal tracks wear thin, the worse being "O Vôo Da Fênix", which is not helped by a few lead guitar licks that are woefully out of place. When all is said and done, O TERCO will best be remembered as the precursor to a good pop group with a few vestiges of progressive rock. At this point in their career, the progressive is spelled with a small p and the pop isn't even that good. If you must have one, go with "Criaturas". Post a review of O TERÇO "Casa Encantada"